June has been a surprising month not at all what I had anticipated. 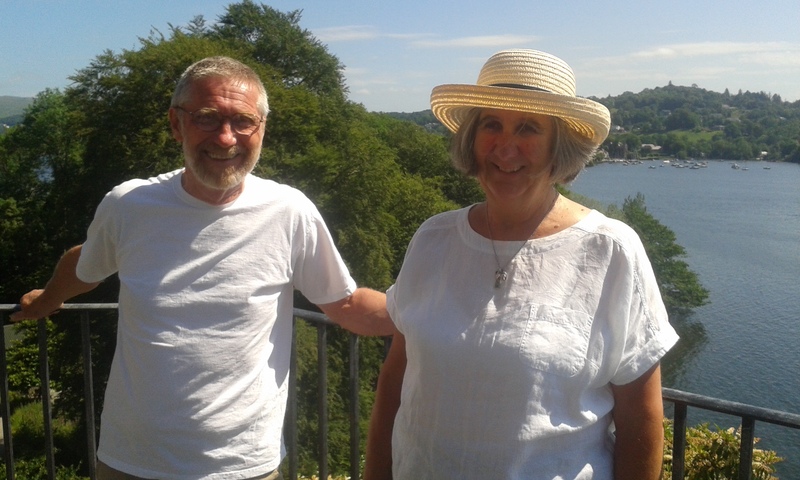 Finally, Peter and I managed another 3 night break away after months of me suggesting places from Spain, Croatia, France, Scotland and back to Wales. On Monday 12th we sat having a “sundowner” when I mentioned an apartment I had found in Bowness-on-Windermere in The Lake District, Cumbria. “Book it” says Peter, the only available date was Friday 16th for 3 nights, yes the following Friday! It was available so I grabbed it. Well someone was guiding us as it was a beautiful, attic conversion in an old house in the woods above Bowness with a great view of Lake Windermere from the sitting room window. With stops the journey took over 5 hours (nothing to our friends in US) but to us Brits it’s a long way!! Everything is comparative, we never thought about 6 hour round trip to airport when we lived in Spain. It was well worth the effort. Friday evening we had a superb meal in a local bistro with good wine. Suitably relaxed we walked the half a mile uphill back to our retreat. It took a long time but a comfy bed awaited so a good incentive! Saturday morning we woke to brilliant sunshine which lasted the whole weekend. Hot but fresh – perfect. After a breakfast of fresh Danish and good coffee in a local bakery we got a boat (cruise boat) across the lake (one mile across) to Lakeside. A steam train then runs alongside the lake for about 5 miles which was a real treat. 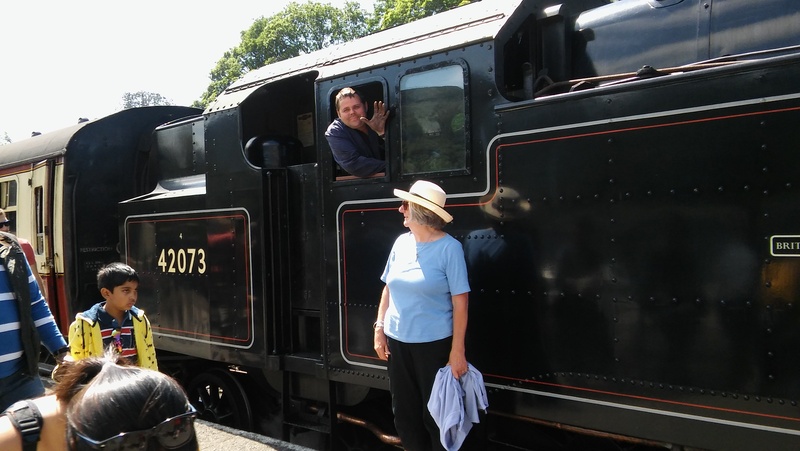 We stayed on and made the return trip, full of nostalgia for me as I remember steam train journeys as a child. Boat trip back to Bowness, much busier now with tourists of many nationalites. We managed to find a wonderful deli run by a young couple with a range of meats, cheese, pickles, olives etc but we decided on pastrami sandwiches, the best I’ve had since I was in Manhattan over 10 years ago – well worth the wait! We found a secluded sheltered spot and ate our picnic over-looking the lake. We were unsure what to do next but decided on a movie, air conditioned theatre and friendly staff. Popcorn too. The movie was Churchill starring Brian Cox and Miranda Richardson which has had some bad reviews but we enjoyed it. We could have booked a three course meal at a local restaurant for afterwards (including the movie ticket) but saw the deal after we had seen movie! I was tired so maybe not best time for a big meal but I thought it was an enterprising idea for cinema and restaurant. We had an Italian instead which was just right. Up the hill again and another great night’s sleep. 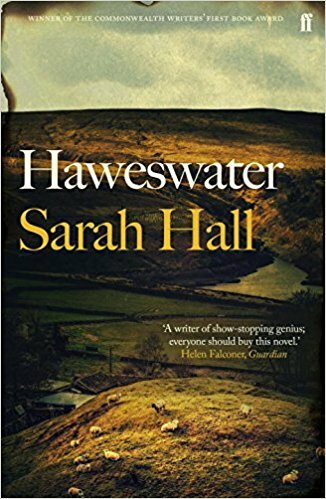 My book club read this month is Haweswater by Sarah Hall. Coincidentally, Haweswater Reservoir was 20 miles north of us so Peter was happy to divert. A valley was flooded to create a new reservoir to supply water to Manchester and a dam constructed. The work commenced in 1929 and was completed in 1940. Inspired by the building of the dam the book is a fictional story about the village of Mardale that was originally in the centre of the farming community, their lives and the impact of the dam. I was so overcome with the beauty of the place I forgot to take a photo! Peace and tranquillity with all that history under the water. It was an emotional experience, I have discovered my family originally came from this area in the 1790s so Cumbria remains in my genes. I recommend the book which is a well researched first novel by a sensitive writer. I’ve also read and enjoyed The Wolf Border Sarah Hall’s latest novel which was also set in Cumbria but begins in Idaho about the re-wilding of wolves the Lake District. I always feel I’ve been away ages following one of these breaks and think I enjoy them more than longer breaks these days. Just to note the weather has returned to “normal” for summertime which makes the whole weekend even more special. Another June Surprise was an unexpected lunch with friends at their house. 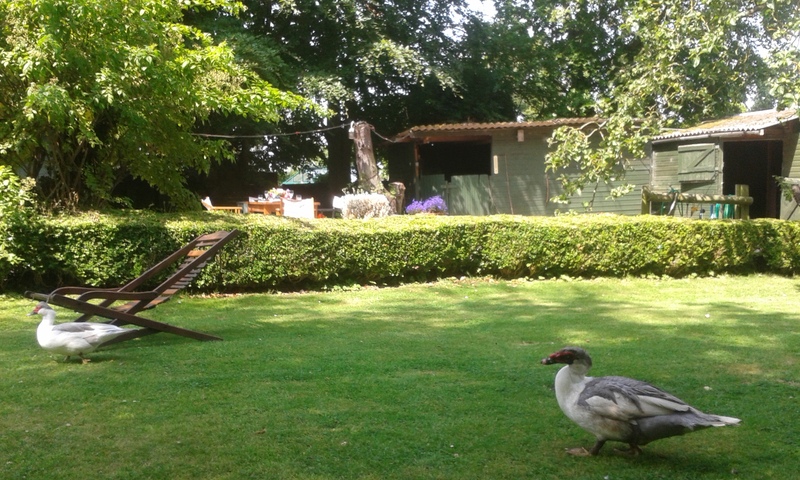 Two added guests arrived which I think will make you smile!